Versatile, rugged, powerful - the diskGO Sonic USB 3.0 Flash Drive has all the speed, performance and storage power of an SSD, but the functionality and size of a flash drive. Imagine the possibilities! Versatile, rugged, powerful - the diskGO Sonic USB 3.0 Flash Drive offers industry leading performance. Driven by a SandForce Solid State Drive controller, the diskGO Sonic can achieve transfer speeds up to an astounding 450MB/s when connected to a USB 3.0 port. One of the fastest USB storage devices available anywhere, the diskGO Sonic is perfect for transferring files such as HD movies, uncompressed images, or backing up an entire system. The attached keychain grommet makes it easy to attach the diskGO Sonic to a set of keys. Encased in high-quality aluminum, the diskGO Sonic is incredibly durable and able to endure harsh treatment. 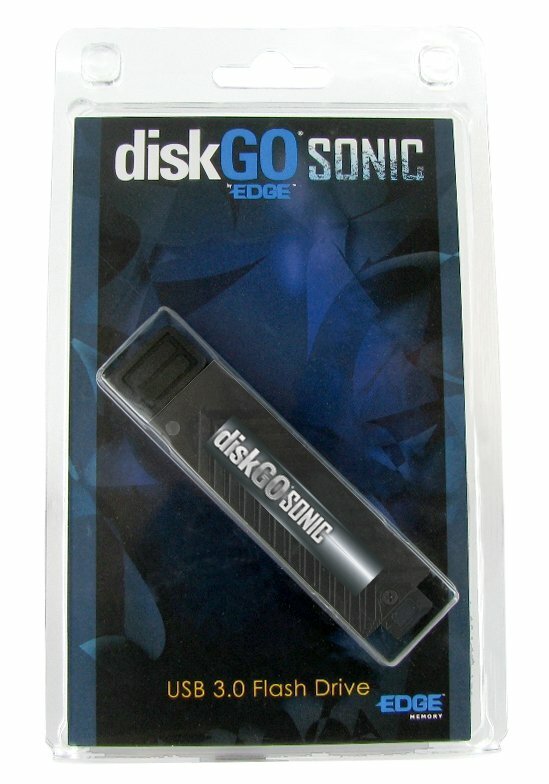 The diskGO Sonic is backed by a two-year warranty and is Windows, Mac, and Linux compatible. SuperSpeed USB 3.0 Performance - Up to 10x faster than USB 2.0. Powered by high-end SandForce SSD. Cross Compatible - Works with Windows, Mac, and Linux systems. Backwards compatible with USB 2.0.